Centralized Authentication using LDAP or Active Directory: ClusterControl now supports Active Directory and LDAP authentication. This allows users to log into ClusterControl by using their corporate credentials instead of a separate password. LDAP groups can be mapped onto ClusterControl user groups to apply roles to the entire group. Role-Based Access Control: ClusterControl uses Role-Based Access Control to restrict access to clusters and their respective deployment, management and monitoring features. This ensures that only authorised user requests are allowed. Access to functionality is fine-grained, allowing access to be defined by organisation or user. ClusterControl uses a permissions framework to define how a user may interact with the management and monitoring functionality, after they have been authorised to do so. 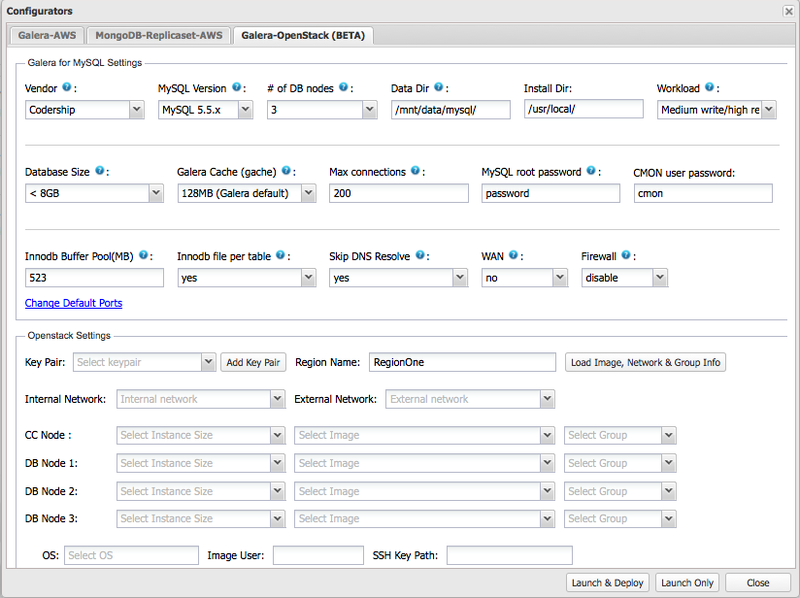 OpenStack: Galera Deployment Automation: You can now use the built-in Configurator for Galera to deploy Galera Cluster for MySQL (or Percona XtraDB Cluster or MariaDB Galera Cluster) on your OpenStack cloud. ClusterControl uses your OpenStack credentials to spin instances before deploying the selected software. Hybrid Setups with Galera and Asynchronous MySQL Replication: Users combining Galera with asynchronous MySQL masters and/or slaves are now able to view their complete setup in their ClusterControl Dashboard. Hybrid setups are popular, e.g. to isolate reporting/OLAP type workload from a Galera Cluster or to use an asynchronous slave as a remote live backup. Manage single instance MySQL Servers or Existing MySQL Replication Setups: It is now possible to manage and monitor all of your MySQL, MariaDB and Percona server instances, whether they are clustered or not, within ClusterControl. 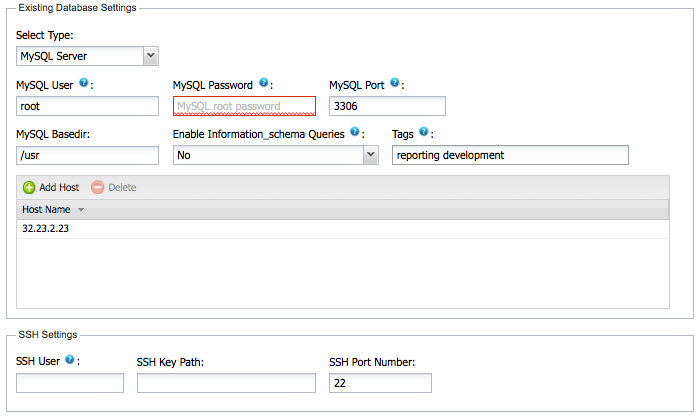 No agents need to be installed on the MySQL Servers. If you have ClusterControl already installed, you’re just a few clicks away from getting real-time visibility into your entire MySQL infrastructure from a single management interface. With over 7,000 users to date, ClusterControl is the leading, platform independent, automation and management solution for MySQL, MariaDB and MongoDB clusters. Thank you for your ongoing support, and happy clustering!